Throughout its nearly 75-year history, FSB has always been known for its exceptionally talented staff. There’s another factor that’s critical to our success, however, namely that our firm’s 160+ architects, engineers, planners, interior designers and other key personnel are located under one roof. This deliberate co-location strategy creates unequaled opportunities for staff to streamline communication about a project’s feasibility, constructability and cost. This improved collaboration, in turn, is an essential ingredient to the successful completion of each project, no matter what its size or method of delivery. In contrast, many A&E firms have architects and engineers in different locations who communicate in a sporadic fashion during the design process, so their facility designs aren’t as cohesive. The end result can be buildings that are less energy efficient and more difficult and costly to maintain. Sometimes clients fear that selecting a large in-house firm means they’ll get “pot luck,” with randomly assigned architects and engineers who may or may not have experience with their particular type of facility. At FSB, this is far from the case, as the firm’s interdisciplinary teams are assigned to specific market sectors. FSB’s market sectors include Aviation, Civic, Corporate, Infrastructure/Technology, Native American, Federal and Education. Each market sector team has extensive, ongoing and often award-winning design experience in that particular sector. By working in specialized teams on multiple projects, these professionals have developed excellent communication and overall understanding of each member’s role in specific types of projects. This leads to increased performance. These benefits continue to hold true no matter what project delivery method is selected. During the design process in-house teams also have access to a common CAD database, which is seen by all disciplines in real time and allows errors to be caught and changes made early in the process. This makes a huge difference in FSB’s ability to identify any design issues as quickly as possible and to provide coordinated, thorough and up-to-date construction drawings. The result is major time and money savings for the client and a smoother construction process. Finally, having a large pool of professional staff under one roof makes an enormous difference when it comes to quality control. 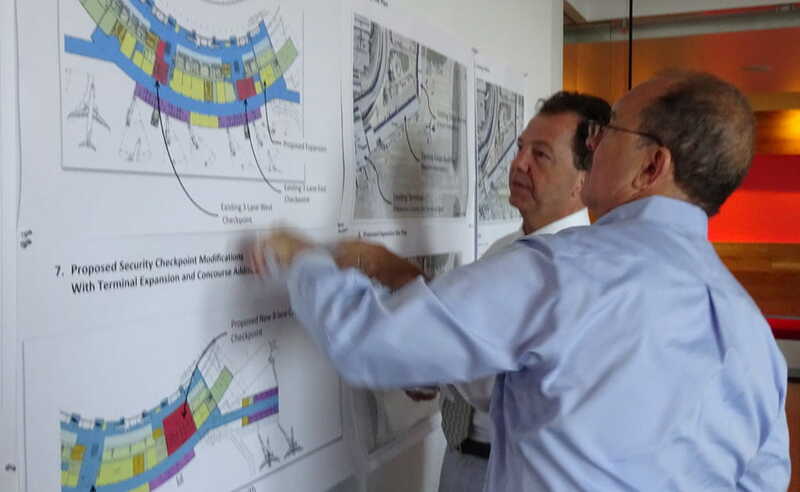 At FSB, each design undergoes an extensive peer review process conducted by an interdisciplinary team of architects and engineers who are not assigned to that project. This process is hugely simplified when a reviewer can literally walk across an office aisle to get questions answered or consult with other personnel. To learn more about the benefits of FSB’s in-house services, contact Gary James, FSB President, CEO and Civic Market Principal, at fsbceo@fsb-ae.com or 405-840-2931.